City centre office blocks are built tall to provide as much space as possible, while using a small area of land. Suzuki’s designers have used that philosophy when creating the Ignis. It doesn’t take up a great deal of space on the road, so parking and nipping through traffic is easy, but the car’s height makes the interior spacious and airy. Like an office block, the Ignis is meant for the city, but is also available with four-wheel drive so it can cope with some off road conditions (think muddy grass slopes rather than boulder-strewn desert). With a brief like that, it’s little surprise that the Ignis turned out with such a distinctive, some might say zany, look. If it’s not enough, there are a selection of graphics that can be added. Its individuality continues inside, with a two-tone dashboard and body-coloured inserts that brighten up the car, and a central screen (just a radio on lower-specification models) that juts out from the middle. The feel of the materials gives away the Suzuki’s budget price. With new cars starting from less than £11,000, it’s little surprise that the plastics are hard and less solid than those that you’ll find in the less-charismatic Volkswagen up!. The Ignis’ extra height creates more headroom, while a sliding rear seat that’s fitted to all but the cheapest SZ3 car, allows you to ability to push it back and create a comfortable amount of legroom. It feels as roomy as the the more-expensive Suzuki Swift. Luggage space is on a par with the Volkswagen up! and sister cars the Skoda Citigo and Seat Mii, with 260 litres available, which is reduced if the rear seat is moving back. The sliding seat also reduces the Ignis’ capacity to four passengers. All Ignis models are powered by a 1.2-litre petrol engine which, while no ball of fire, is at least nippy around town. There’s also a mild hybrid version called SHVS, which can recover a small amount of energy and provide a small power boost during acceleration. This boosts real-world fuel economy to around 58mpg from the 50mpg of the standard car. Light, nippy and agile, the Ignis is great fun to drive. You sit quite high with a good view of the road and the corners of the car, so you can place it easily in bends. It’s out on the open road that it’s less impressive and where it leans more in fast corners and can struggle to keep up with traffic, especially when fully loaded. At least the manual gear change is slick to use. An automatic is available, too. Opt for the optional Allgrip four-wheel-drive version, and the price of the Ignis climbs - to almost £15,00 when new. It’s hard to justify, given the limited use that many buyers will make of it, as well as the availability of another characterful alternative: the Suzuki Jimny. It’s still cheap, though, when compared with other tall crossover cars, such as the Volkswagen T-Cross, Seat Arona and Kia Stonic. Apart from the lack of electric rear windows mid-specification SZ-T cars include most features that buyers look for, including air conditioning, alloy wheels and a touchscreen with Apple CarPlay and Android Auto for easy control of phone apps. The standard Ignis onlay has a three star safety rating (out of five) from the independent Euro NCAP organisation because it lacks some effective assistance systems as standard. The score rises to a full five stars when fitted with the Dual Camera Brake Support system, an automatic emergency brake that can slow or stop the car to reduce the severity of a frontal cars, which is standard on SZ5 cars. Thanks to its small petrol engine supported by hybrid power, this version of the Ignis can do up to 54.1mpg. However, this figure falls to 48.6mpg, the lowest in the model range, when optional Allgrip four-wheel drive is added. If you have three children to carry, then the basic SZ3 is the version for you since it has three seats in the back. However, move up to SZ-T and you have two seats set in a sliding rear bench that can free up extra legroom or boot space. Being mid-spec it gets additional equipment and looks more stylish but still manages to undercut top-spec SZ5 trim by £1500. The addition of optional Allgrip four-wheel drive is enough to give this version of the Ignis the extra traction it needs to get off the line quicker than the other models in the range. That said, it’s only 0.3 seconds faster from 0-62mph than the SZ5 without Allgrip, has a lower top speed, costs more to buy and is the most uneconomical in the range. The SHVS hybrid system is only available with SZ5 trim and the manual gearbox. Buy the SZ5 automatic and not only do you pay more for the gearbox but you also go without the hybrid system. You’re better off with the SZ-T auto, even if you must put up with manual rear windows. 2017 Model launched with 1.2 petrol and SHVS hybrid engines, and five-speed manual and automatic gearboxes. Trims are SZ3, SZ-T and SZ5. All have air-con and a digital radio. SZ5 adds Allgrip automatic four-wheel drive. 2018 Ignis Adventure based on SZ-T launched with a bodykit and unique decals. Costs £1000 more. 2018 Recall for integrated generator starter belt. These indicate the car’s level of luxury with SZ3 being the most basic, and SZ5, the best equipped. In the middle is not SZ4 but, confusingly, SZ-T. The figure 1.2 is the size of the petrol engine in litres. Dualjet is Suzuki’s name for its fuel injection system. SZ5 trim is the only one available with a hybrid power system, which Suzuki calls SHVS (Smart Hybrid Vehicle by Suzuki). It boosts power and economy, and reduces emissions. Allgrip is Suzuki’s name for its four-wheel drive system that’s an option with SZ5 trim. Both versions use the same 1.2-litre petrol engine. The Ignis is unusual among small cars as it's available with a hybrid engine. Suzuki calls it the SHVS (Smart Hybrid Vehicle by Suzuki) and it only comes on SZ5 versions. It’s a mild hybrid rather than a regular hybrid or plug-in hybrid. So it doesn’t require a large, additional battery or an electric motor. Instead, waste energy from braking is captured in a small battery and released when required to power a small generator that acts both as a starter motor and an additional source of power when accelerating. As hybrid systems go, it’s quite cheap. It helps to boost economy and reduce emissions, but you need to square these benefits with the model’s higher price and the fact that any performance gains quickly tail off as the hybrid battery runs out of power, leaving the petrol engine to run on its own. For these reasons we prefer the cheaper, standard 1.2-litre petrol engine, badged 1.2 Dualjet. It’s nippy enough around town while the gear change is smooth and precise. We'd recommend the manual, although automatics are available. Its one downside, if you regularly get into slippery situations, is that it’s not available with Allgrip four-wheel drive. That’s an option only on the SZ5 SHVS model. There may only be three trims to choose from but even so, they’re not that straightforward and you have to be careful which one you choose. SZ3, the cheapest, has many of things new car buyers look, including air conditioning and a digital radio. Only the front windows are electrically powered, though, but at least the rears have darkened privacy glass. The wheels are steel (rather than alloy), too, but they do have covers you can replace, so kerbing them is less of an issue than it is with alloy wheels. It has three seats in the back. Move up to SZ-T trim (note it’s not called SZ4 as you might expect) and those three rear seats become two that are set in a sliding rear bench that can provide extra legroom or boot space. The seat backs recline, too. The seats are roomy and versatile but they do rule out having a fifth passenger. SZ-T costs £1500 more than SZ3 but you do get a lot for your money, much of which plays to the Ignis’s strengths. For example, in addition to sliding rear seats you get larger alloy wheels, smart roof rails, wheel arch extensions and side mouldings, a rear-view camera and phone connectivity. However, the rear windows are still only manual and the steering wheel is not leather covered, which always feels better. Top-spec SZ5 costs a further £1500 but manual versions include the SHVS hybrid system. If you want the automatic gearbox you must do without the hybrid system and pay another £800, which seems stiff. Electric rear windows and a leather-covered steering wheel finally put in an appearance, as does climate control, cruise control, a sat nav and automatic emergency braking. Back in 2016, Suzuki finished 19th in the Auto Express Driver Power owner satisfaction survey, which is a respectable result. The Ignis hadn't been launched then but hasn’t figured in subsequent surveys. This could be explained by its relatively low sales since our experience of Suzukis is that they’re generally reliable cars. The Ignis is quite a simple affair, too. Even its hybrid system is fairly uncomplicated. The Ignis has a three-year/60,000-mile warranty. It’s standard for the industry and sufficient for undemanding, average-mileage drivers on a three-year finance deal. Unlike a Ford Fiesta or Vauxhall Corsa, the Ignis doesn't sell in huge numbers and is probably unknown to a lot of used car buyers. This balance of supply and demand combined with the model’s keen prices, helps put the brakes on depreciation. 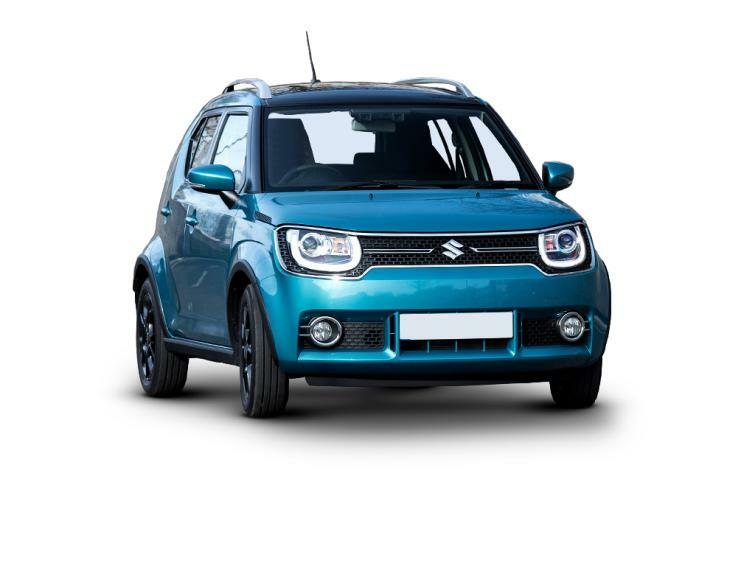 There are currently 11 Suzuki Ignis' available on BuyaCar, with prices ranging from £7,750 to £11,995 for nearly-new models. The Ignis is both small and tall. So parking and nipping through traffic is easy, but the car’s height makes the interior spacious and airy. It's available with four-wheel-drive, and a mild-hybrid powertrain, meaning it offers options that most other city cars don't. The car’s height makes the interior spacious and airy - but it is filled with hard, scratchy and hollow-sounding plastics which help to keep the car’s weight and cost down. SZ-T models only have two seats in the rear. This is set in a sliding rear bench that can free up extra legroom or boot space. Luggage space is on a par with the Volkswagen up! and sister cars the Skoda Citigo and Seat Mii, with 260 litres available.